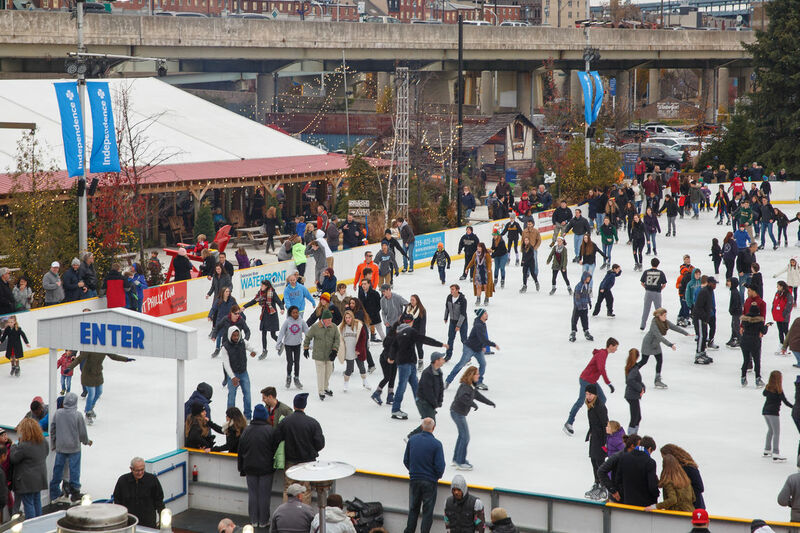 PHILADELPHIA PA (November 2018)(CNBNewsnet)--Since 1993, Blue Cross RiverRink has been Philadelphia's winter tradition. This year, we're celebrating 25 YEARS in Philadelphia, and 25 YEARS in partnership with Independence Blue Cross. Visit this season for special events, great giveaways, and a glide down memory lane. 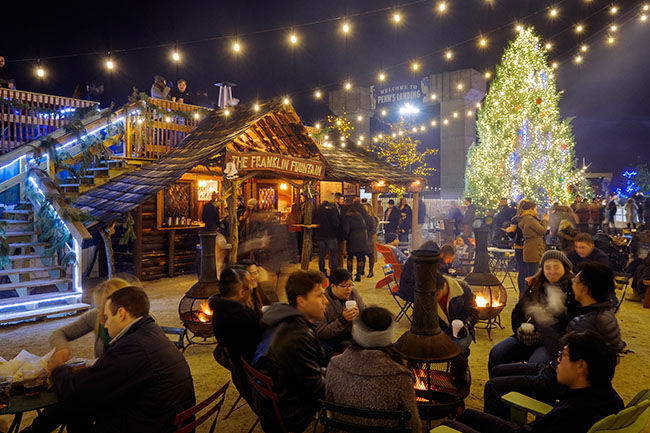 Blue Cross RiverRink Winterfest is open seven days a week including all holidays from November 23, 2018 through March 3, 2018. This seasonal winter park includes a fairytale winter landscape, world-class ice skating rink, beautiful lighting, outdoor seating area with fire pits, cozy warming cabins, Franklin Fountain Confectionary Cabin, Kids Lodge and arcade, and a chalet-inspired Lodge with food and beverages from Garces and Chickie's and Pete's. Come skate with friends and family, bring the team for a special event, or have a party in one of the cozy cabins or Lodge. The Lodge features a cozy ski-chalet inspired atmosphere with a clear view of the ice skating rink and a heated wraparound porch for the ultimate in Waterfront luxury. Inside, The Lodge is furnished with comfortable couches, tons of gathering tables, electric fireplaces, and decorative touches that create a warm and inviting space. On special event nights, the Lodge transforms into a dance floor for Latin Nights, Dance Hall, and throwback DJs. More details can be found on the Events Page. The Lodge also offers a variety of rental packages for the PERFECT winter event or holiday party. Chickie's and Pete's, Garces, and Skelly's Amusements serve up seasonal favorites all winter long. Dig into Chickie's and Pete's world-famous Crabfries and clam cowder, try the Impossible burger from Garces, or grab a slice or a whole pie for the crew from Portside Pizza. Many of the items at the rink are allergy-friendly and gluten-free. Full menus can be found on the Food and Drink page. 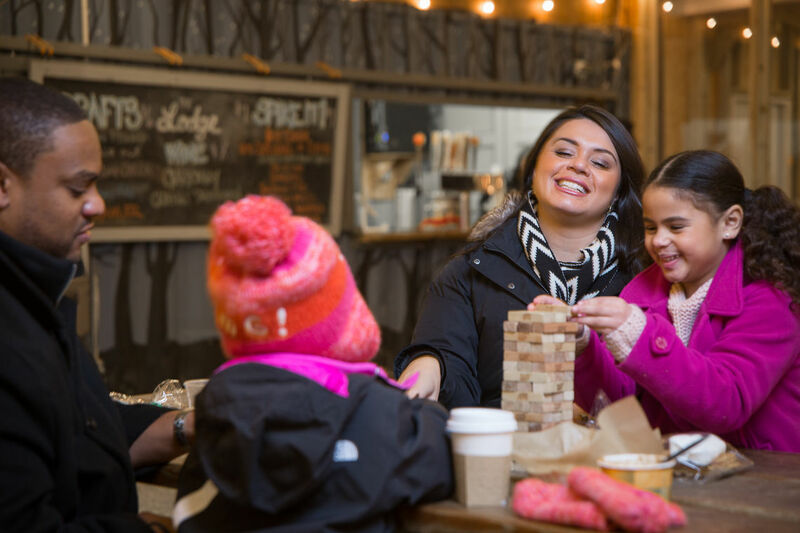 The Franklin Fountain Confectionery Cabin serves house-made hot chocolate (a winter favorite), hot fudge sundaes, ice cream waffle sandwiches, and s'more kits for grilling at the fire pits. The cabin was hand-built and charred to give it that perfect winter feel, making it one of the best spots for that winter photo-op. The Lodge Bar features a craft beer program highlighting local and regional beers and specialty hot cocktails. 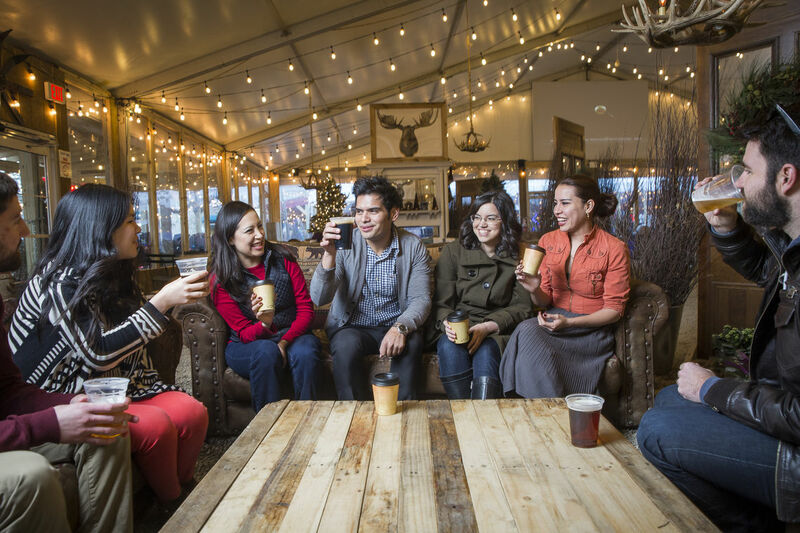 Enjoy a post-skate spiked hot chocolate, apple cider from Linvilla Orchards, hot tea and coffee. With its warm and inviting space (including fire pits! 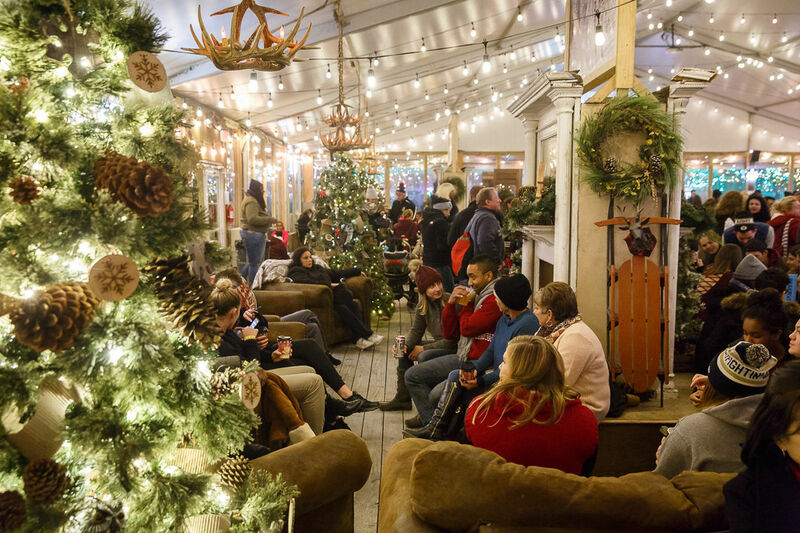 ), Blue Cross RiverRink Winterfet is perfect for friends seeking a night out to relax, unwind, and enjoy some tasty cocktails. The Kids Lodge features a playfully decorated space built for the kids. 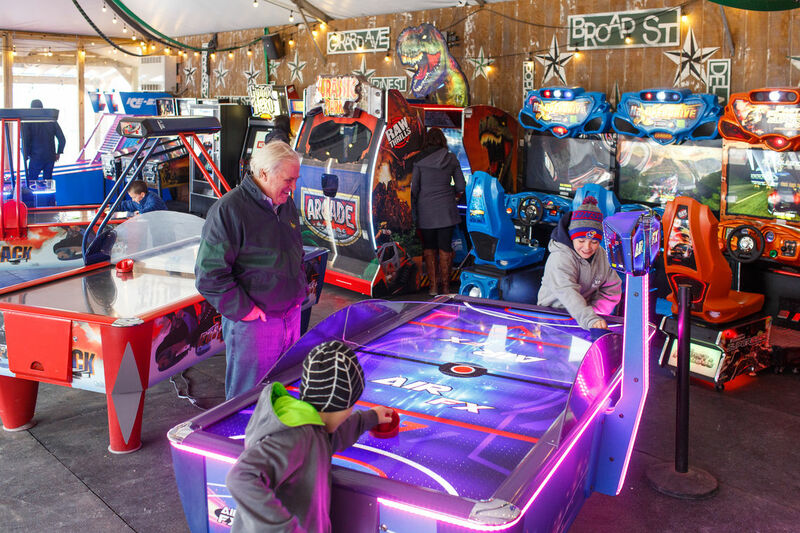 With a variety of interactive arcade games, small rides, and classics like pinball and air hockey, it's the perfect space to let the whole family play. 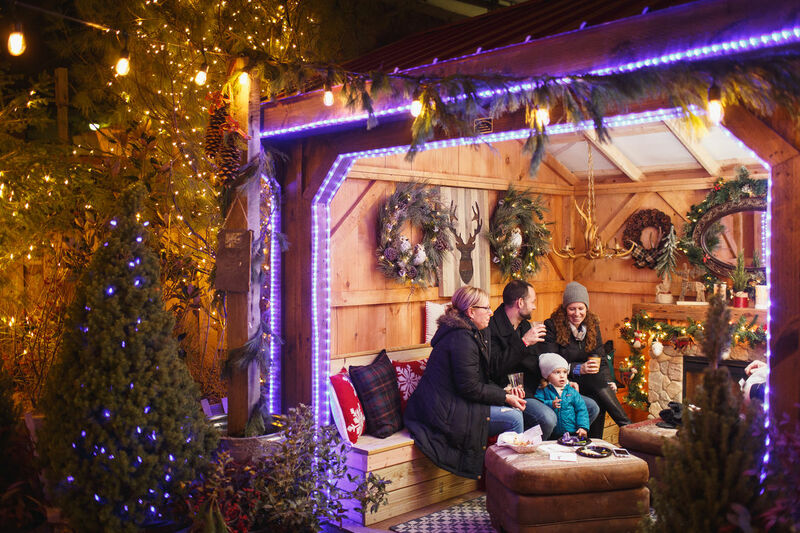 Don't forget that Blue Cross RiverRink Winterfest offers party packages that are perfect for those youngsters with winter birthdays. The Warming Cabins have been artfully decorated to create an intimate gathering space. Filled with warm blankets, soft pillows, holiday greens, heaters, fireplaces, and games, these cabins are the perfect spot for a cozy get together for two, or for a larger function. Cabins can be rented online with bar and catering packages available.